On Thursday morning (9-24), it was revealed that one of the last remaining national voices in music and entertainment journalism was leaving the field to go work for a public relations, or PR firm—the apparatus of the music and entertainment industry that interfaces with media outlets to release information, conduct interviews, and curate exclusive content like song and video releases for artists. Brian Mansfield, the high-profile music journalist for USA Today for the last 18 years, has decided to leave his post and become the Content Director at Shore Fire Media—one of the world’s top PR entities. 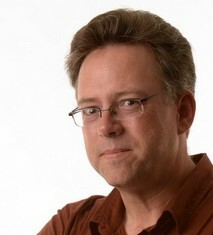 Mansfield was the last full-time music writer on staff at the national paper after the publication let go music critic Edna Gundersen in 2014. Mansfield’s departure is just one of many in the slow and steady march of high-profile music journalists on the local and national level either being laid off or leaving for work in the PR sector before they can be. USA Today is owned by the media company Gannett, which also owns around 90 local newspapers and multiple television stations around the United States. Another high profile music writer, Peter Cooper, left his long-standing post at the Gannett-owned The Tennessean in 2014 to work for the Country Music Hall of Fame. 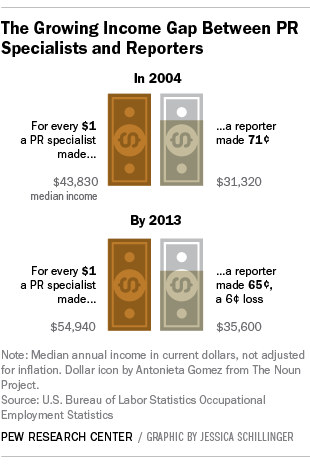 Part of what is driving journalists to hang up their notepads and join the ranks of publicists is the gross discrepancy in pay between the two fields that is growing increasingly pronounced each year. According to a 2014 Pew Research Center report, both the pay and sheer numbers of journalists to publicists is increasingly weighted toward the publicity side. Billboard offered their own assessment between the building discrepancy between journalists and publicists in June, highlighting the differences between the different tiers of journalists, critics, and publicity agents. So how does all of this affect the music itself, and why is it important to consumers and the industry at large? What does it matter to consumers if they get their information directly through artists and labels via publicists, or via impartial third-party journalists? “As editorial staffs shrink, there is less ability for news media to interrogate and counter the claims in press releases,” say Robert McChesney and John Nichols in their book The Death and Life of American Journalism. Long story short, when you’re getting your information directly from artists, promoters and publicists, you may only be getting one side of the story. The facts might not be vetted, and the information may not be presented with the best interests of the public in mind, but the best interests of the people looking to financially benefit from what is being promoted. Labels and artists in many cases are preferring to hire PR firms to promote and disseminate information about their music as opposed to spending that money on advertising in media outlets that in turn pay the salaries of independently-aligned journalists. Cutting out journalists and critics from the equation is also a way to quash dissent and to control the message making its way to the consumers. With the proliferation of social media, some PR firms are finding a space to work in that does not require the help of traditional journalism outlets, and are figuring out a way to take their message directly to consumers. That is what former USA Today journalist Brian Mansfiled will be doing in part at his new job. Even though some labels, managers, and PR firms might be looking forward to a future where journalism is obsolete and they can take their message directly to the consumers, the allure of objectivity still entices them to work with journalists today. Readers and fans are more likely to believe the hype behind a band, a song, or an album if they think the positivity behind it is coming from someone without any chips in the game. But the use of “sponsored content” and even the buying of positive news stories is becoming more common in the music media marketplace. In April, CMT cut most of their editorial staff, including 13-year veteran Craig Shelburne, and decommissioned their CMT Edge blog. Radio.com, owned by CBS, also slashed their journalism staff this year. Yet both of these entities continue to publish articles, some of which include information sourced from other places, some of which is simply press releases from artists and PR firms posted verbatim as opposed to being fact-checked by third-party editorial staff or used as source material for more original content. For example, in August CMT published an articled called Darius Rucker Tapes Hometown Instant Jam. The article looked innocuous enough, until you saw that the author was “Bush Beans,” and you noticed the “sponsored” tag at the top of the piece. This wasn’t an article in the traditional sense, it was an advertisement veiled and framed in the style of an article. In fairness, local newspapers have been engaging in similar “sponsored content” on the back fold of editions for many years. But now instead of being offered as an addendum to the real news and stories, it is being offered in replacement of real journalism content in many cases. And in some instances, the relationship between PR and media is becoming even more underhanded. On Tuesday (9-22), Thump reported that the EDM-based music journalism site EDM.com was asking for and receiving bribes from artists, labels, and bands to feature content on the site. In a leaked email, Sales and Marketing Director Dayna Young offers a prospective artist a menu of options of how to get a video featured. An EDM.com article about the video, including a push on the site’s Facebook and Twitter accounts, would cost $1,000. Instagram and Vine mentions would cost $350. And inclusion in EDM.com’s “Slingshot” program would cost $600. With the amount of money flowing to PR firms who are under high pressure to deliver for clients, it’s not a leap of faith to think this practice is becoming more common in the music industry. Meanwhile the lack of true transparency, objective reporting, and meaningful criticism of music is making it more difficult for consumers to navigate to the best music in an increasingly-crowded marketplace. In the movie and theater realms, in the food realm, and even in much of the sports world, criticism and dissent are expected, and are commonly served by professional journalists, sometimes making salaries in the six and seven-figure ranges. Criticism in the arts is seen as an important part of the creative process, and sports journalists are regularly the ones exposing scandals or holes in the rules that help keep professional sports honest. However in the music world, critics are commonly ostracized, made out to be bullies, and are slowly being defunded by the withholding of advertising dollars and the shuffling of money towards publicity. Trade organizations, labels, and publicity agencies set up close relationships with media entities to publish favorable pieces, and music journalism is quickly morphing into nothing more than a promotional arm for the industry, resorting to covering artists favorably or running sponsored content to survive. I think that fewer people are interested in reading music reviews that used to be the case. One of the solutions might be to move to video reviews, much like Mark at SpectrumPulse. There is also the possibility, as much as I would dislike it, of moving toward a click list model like Buzzfeed as opposed to long-form reviews. Okay, well none of what you broached in your comment has anything to do with what was written in the article above. I’m not complaining that folks aren’t reading my reviews, I’m doing what a journalist should do, which is asking if the best interests of the public are being served, and laying out a detailed case of why they possibly aren’t. But for the record, the traffic to Saving Country Music is just fine, including to many of the reviews. In fact the traffic for reviews has been on a steady increase, partly because traditional media is laying off critics left and right, leaving a hungry public out there looking for opinion. It is still a challenge to get readers to pay attention to reviews for unknown artists, but I would rather shut Saving Country Music down before doing anything that was inspired by Buzzfeed. And while I’m on the subject of misconceptions, let me just say there are some damn fine PR agencies and publicists who do their job very well and have great respect for the rules of the road. So just because someone is in publicity, doesn’t mean they’re part of the problem. I was not talking about SCM, but rather about the music media in general. SCM readers happen to be a highly selective group of dedicated music fans and analysts, living in an oasis in the midst of a general public that has lost interest in music reviews. The fact that SCM is non-profit and essentially expense-free allows it a wide level of latitude that writers at the for-profit print media do not enjoy. On that point, I can’t help but wonder how The Boot, Roughstock and Taste of Country are all effectively going to differentiate in the longer run in an already oversaturated music semi-tabloid landscape. This community still has much room to grow because it simultaneously taps into the discontent of a growing percentage of the country and roots music listening populace, or even those that pine for journalistic quality. Meanwhile, Anthony Fantano has wildly succeeded in carving his own lane through YouTube via The Needle Drop, and as someone who initially was a volunteer DJ at a college radio station who later had a program on Connecticut Public Broadcasting, is relying more on visuals rather than written content to deliver quality reviews and commentary. I can already say the hip-hop/rap community already has multiple YouTube channels dedicated to quality musical discussion with powerful followings. Spectrum Pulse has recognized the dearth of country/roots music equivalents to that and has made a great effort to begin filling the void, but it’s still decidedly an all-genre art and culture review channel. Trig, I work in a company that just bought a huge digital advertising and content delivery company. You can probably guess who that is. But we are seeing that in our business road-maps as the future of driving advertising dollars to sites. The concept is what you mentioned, articles disguised to look like real articles or reviews but are actually an advertising plug for whatever product, event, or idea that someone has paid a firm to develop and promote. This company has a huge strategy to develop this tactic across all businesses in our economy to drive future advertising revenue dollars. It gets really frustrating when I see a title of something online and click only to find out it’s very light on actual content and is really only a bought plug. Unfortunately I think we will continue to see these strategies deployed across online advertising. And I agree, that’s why it’s now more important than ever to have real journalists and sites like these to deliver actual content with hard research behind it. I’ve been freelancing for a decade and wish I’d earn even $25K at it. It seems to be getting worse all of the time. 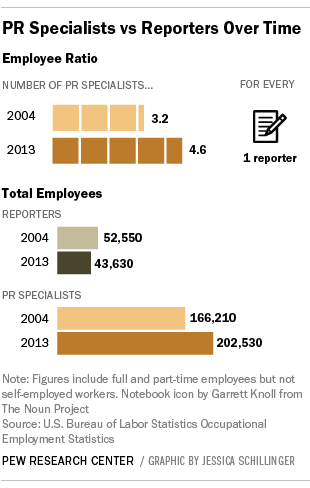 It makes sense that a lot of journalists would move to PR if the money is there. As an avid reader, it disappoints me, but as a parent of three little ones I get the pressures of paying bills. One of the problems is that you are trying to view music as ethereal thing instead of as a commodity. This isn’t a bad thing Trig it just shows that you have a genuine love of music and of the concept that used to be known as country music. Journalism has always had had a fine line of balancing the advertorial vs just selling ad-space. The rise of micro-journalism has stood many of the traditional concepts of journalism of its head. Twitter, Facebook, YouTube, Blogging, etc have created a brand new market. It’s not limited to music. Its Golf, its Cars. Its product placement in movies and TV. Traditional ads and marketing have been adjusted to meet “modern” consumer. Everything is dumbed down. Its Dr. Oz peddling products like an Old-West Snake Oil salesman. Brian Mansfield made the smart move. Media has some major issues to face. You pointed out CMT but ESPN, The Wall Street Journal, Bloomberg have made some major staff cuts, largely editorial staff. I know you are ranting and in many ways so am I but I don’t see where the solution is going to come from. I am reminded of Joseph de Maistre’s saying about people and their government. It likely can be extended to saying that sadly we get level of journalism, entertainment and otherwise that we deserve. Not that its even close to the same thing as music, but I have been looking for a good diaper cream for my son. Someone recommended a pricey one, and I wanted to find reviews on it before buying it to see if it really was the be-all end-all of diaper creams. All I could find was blog reviews praising this diaper-cream in an almost cult-like manner. I couldn’t find one person who said that it didn’t work for them. When I looked a little closer, all the reviews mentioned in fine print that they were given the tube for free, or they were a representative for the company, or they had a friend who was a rep for the company. Diaper cream isn’t exactly the best comparison to music, but it does illustrate how hard it actually is to find unbiased info as a consumer. Your calculations do not take into account the hidden costs . . .
PR and advertising are about the same: Organized, crafted lying. Before I started reading here back about two years ago, I couldn’t care less about this stuff, or radio consolidation, or Billboard’s chart rules, all I cared about was hearing Jerry Reed instead of Blake Shelton… Trigger: hats off to you for all this stuff you’ve opened my eyes to, I definitely would not be as informed, or have as many music options available if you hadn’t been out there clicking away. Also, is the “you may also like” thing that is sponsored by Taboola a new addition to the site? I completely understand that issues involving radio and charts and PR and such is probably a little too esoteric for most readers, and I don’t fault anyone for not wanting to get too involved in it. However these are the issues at the very root of why music in America is headed in the wrong direction, and they need to be addressed. Unsure whether you’re familiar with the word Trigger, but “advertorial” comes to mind when reading about this subject and Mansfield’s sad departure from music journalism . I’ve lost at least a bit of paid writing work in the past for questioning venues’ publication of it and my reluctance to being complicit in it. I have been in journalism for 10 years and I have never worried about my job. During that time, I’ve had a lot of friends who work in public relations lose their jobs and struggle to find new ones, especially high-paying ones. While papers rely on advertisers, PR firms rely on contracts with companies. Oftentimes when contracts run out, PR firms let people go. Also, you lose a lot of autonomy with your writing; you just rehash stats. I might make a little less, but I’m not dying to enter the PR world. I’ve heard too many horror stories. One major issue with this piece. The job of publicists (like myself) is to reach out to press for editorial coverage. Without journalists, there is no PR. If it is paid content, that falls under advertising. Providing content directly to fans falls under the marketing side of things. If Brian is doing that for Shore Fire, it means they are expanding into marketing. Secondly, a lot of this is just due to the decline of traditional media, where outlets like USA Today are becoming less and less relevant, and therefore less profitable. All an independent publicist (like myself or Shore Fire) does is help their artist present themselves and their story to the media in a concise, thoughtful way. We dig through all of their information, accomplishments, and life story, and try to find the most interesting things to talk about. It is a service for the artist and for the journalist. PR is not about lying. It is about spreading information. You can choose to spread lies and false information, or spread reliable, helpful information. Music PR is not at ALL a soul-sucking job, as some of the commenters say, if you are working with artists you actually believe in. You get to work directly with the artists and be their advocate. Not all artists enjoy promoting themselves. Publicists handle the promotion so they can focus on being creative. All we can do is present them in the best possible light, and get as many journalists to listen as possible. It’s up to you guys to decide what to cover. We just make it easier for our artists to get noticed. We can’t force people to write anything. Again, if it is paid content, that falls under advertising. Anyone with money can pay for advertising. Publicity is a separate thing. Some companies might do both, but they are inherently separate. I meant to put a disclaimer in this piece that most PR personnel are doing an excellent job for their artists, and are honest individuals. When I went to add the first comment to this article saying such, someone else had already commented (and sort of off topic, but anyway). If I worked in the PR world, I would be irked to see an article like this posted because it can be taken as an unfair stereotype of the profession. However, this is a growing problem. I agree part of the problem is simply with the changing environment in the digital age, but I’m not sure that makes the issue any less problematic. This is not just a problem I’ve identified and decided to highlight. The Pew Research Center saw this as a problem. The United States Bureau of Labor Statistics saw it as a problem. Billboard saw this as a topic worth discussing, and I just took all of that information and put it on one place, with the departure of Brian Mansfield being the impetus. I had been working on this article for over a month. I think it’s important we discuss these matters to make sure this problem doesn’t become a bigger one. But please don’t take it that I’m characterizing that all publicists lie or that the information coming from publicity firms is incorrect. All I’m saying is that for the system to work right, it’s important to have 3rd party journalists double checking the information just to make sure. That goes away, and so do the checks and balances. That is why it is important that journalists remain in the music marketplace, to offer checks and balances. I know we agree on this point, but I just wanted to give you a real-world example of how this is already becoming a problem. Alan’s #1 was misreported for the release week but quickly corrected (at least on SoundScan’s part). The following week he earned the #1. That’s bad reporting by TOC to not have fixed the story but I doubt they pay for charts. But the information that Taste of Country reported on came from a press release from Alan Jackson’s publicist that was never corrected. Hence, the need for 3rd party institutions with the resources and editorial staff to be able to vet press releases before publishing them. Well, when it comes to any “#1 reports” especially in weird cases like the new chart reporting being out of whack from the changes to Friday release dates from Tuesdays, that’s how that happened. But I WILL agree that AJ’s PR team (and label) should’ve issued a press release when the new numbers came out the next day. The fact that they didn’t issue a follow-up tells me they didn’t care about Isbell getting the #1 (a more interesting story to me). Also – I’ve worked in PR for almost a decade, and I have never once seen a publicist pay for editorial coverage to please their client. Literally not a single time. That just doesn’t happen. If a website like EDM.com wants to sell advertising and disguise it as editorial content, the artist or label can choose to purchase ad space. Sites that don’t separate advertising and editorial content lose credibility really quickly and will not be successful. I can tell you from my end, that I have seen numerous solicitations stimulated by firms looking to promote artists or products and being willing to pay for that coverage. Is it common? Probably not at the moment, but with the growth of native advertising and the downfall of traditional journalism, it could become a bigger problem in the future. I didn’t mean to characterize it as a norm. The EDM.com story happen just a few days ago, so it seemed germane to the discussion. Oh, and lastly – I can say that the salaries listed in that Billboard graphic are way higher than reality. If you are the president of a national PR company that handles crisis campaigns for a pharmaceutical company or something, that is probably accurate. Most music publicists do not make that much money. Trust me. I agree the salaries across the board looked very high. It could be that their study was New York, or New York / LA-based principally. But I wanted to include some hard statistics, and I do think they illustrate the discrepancy fairly. It is much easier to get music information on this website than to review a print and ink newspaper’s review of a concert, band or artist. It’s also more honest, because magazines in particular are so beholden to their advertisers (whose products (e.g. guns) they purport to review for the benefit of the reader) spend so much money with them that they are completely compromised and conflicted. I used to subscribe to gun magazines and read their articles and reviews. But the reviews were almost never negative. They were more like infomercials. Hi Trigger, I hope this is not an inappropriate question but how do you earn a living and keep this website going? It must take a lot of time and effort to produce such an informative and entertaining website. So how do you do it?! Thank you for producing such an excellent platform for us. I don’t earn a living. That’s pretty much the answer. I scratch and scrounge and struggle and hope this bills get paid next month. Luckily I’m pretty resourceful and thrifty or I’d have been sunk years ago. Hm, not sure that is a viable business plan for ensuring the survival of real music journalism! You must love country music a lot – if it means anything at all you have gained my full respect. You also argue your case very well and in a logical manner. And you are very consistent in your views. All qualities which I admire and I find lacking in the vast majority of journalism today and not just in the realm of music. C’mon, Trigger! 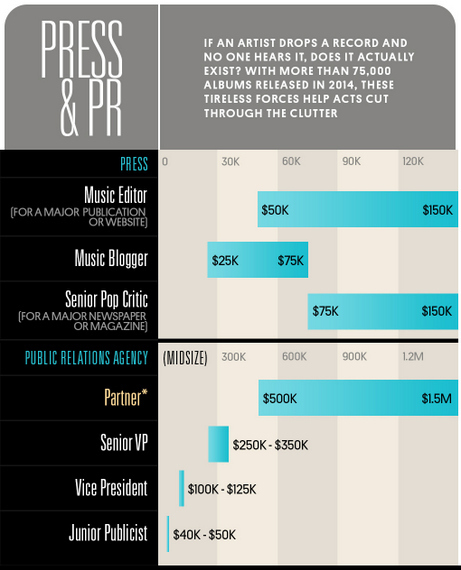 That always-accurate infograph clearly states that music bloggers make up to $75,000 per year! With that kind of dough, you could have your own Willie Nelson’s 4th of July Picnic! Sure, you might have to substitute Willie for some random guy wearing a Pippi Longstocking wig, but no one will notice the lip-syncing!